Before starting to write, make sure you have understood your essay assignment. Plan the structure of your essay. Usually, a literary analysis essay consists of five paragraphs, which starts with an introduction and ends with a conclusion. A thesis statement must be stated in your introductory paragraph, which serves as the primary approach to the piece of literature you are interpreting. It should also cover the three main points you want to expand. 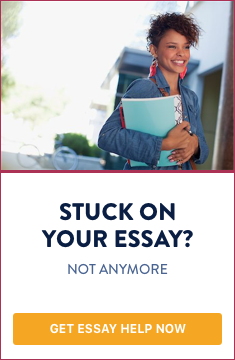 The next three paragraphs will then be the body of your essay, discussing those three main points in each paragraph and expanding your thesis statement. And to conclude your essay, just simply summarize what you have written. Develop your standpoint. Raise an argument and support it with historical facts or anything that can elaborate the details. If you are allowed, you can discuss the quality of the literature which made you either impressed or not. In other words, you can express how you feel regarding the text if your professor doesn’t limit you. Accentuate both the best and the worst parts of the literature by providing insights, but in a subjective way. You can also add comments from other critics who have also reviewed this piece of work. Analyze other aspects by discussing the various changes that took place in the literature, as well as the development between the characters. Or you might as well focus on the setting or on the theme of the literature itself. Remember that in making your conclusion, it should include all your major points. Make sure that everything is linked to your thesis statement, and evaluate it before submitting. And don’t forget to follow your professor’s guidelines.